Closing in Prayer or Devoted to Prayer? All churches are different. I don’t mean they are all strange, but each church has its own identity and unique ministries. For example, one church in my city ministers to men who were recently released from prison. I’m not aware of any other churches in town doing this. There may be others, but nobody would argue that every church should have this kind of ministry. There are some activities that every church must do regularly. One of those is prayer. Paul told the Colossians, “Devote yourselves to prayer” (4:2). First, discipline yourself to pray with others throughout the week. Pray together with other believers more often than just before a meal. For instance, you might call each other just to pray. This may seem awkward at first, perhaps because it is so unusual in your experience. Ignore your feelings and do what is right and best. Sometimes it’s obvious when we should pray together, like when a church member shows up with distressing news that a lady in the church was just diagnosed with an aggressive cancer. Other times, it’s not as clear when to stop and pray, such as when your family and another family in the church are together on a Friday evening for a Bar-B-Q. 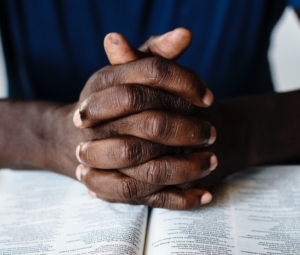 Consider speaking up and saying, “Let’s take some time to pray together.” You could start by praying for one another, but you also might pray for your pastor(s), missionaries, others in the church, and unbelieving neighbors. Second, go to the prayer meeting and pray. God looks not at the elegancy of your prayers, to see how neat they are; nor yet at the geometry of your prayers, to see how long they are; nor yet at the arithmetic of your prayers, to see how many they are; nor yet at the music of your prayers, nor yet at the sweetness of your voice, nor yet at the logic of your prayers; but at the sincerity of your prayers, how hearty they are. We can’t afford not to pray together often. If our churches fail in this vital discipline, we miss God’s blessings and power. James reasoned, “You do not have, because you do not ask” (4:2). Thomas Brooks, Works, Vol. 2 (Carlisle, PA: Banner of Truth, 1980), 256. This is taken from the supplementary material Kurt R. Linde provides in Dr. E. Porter, Letters on Revival (Brooklyn: Linde Publications, 1992), 176. Copyright © 2012 Steve Burchett. >Church Faithfulness: Is it Reasonable Anymore? >What Should You Do About Sexual Sin?